Anything but plain. 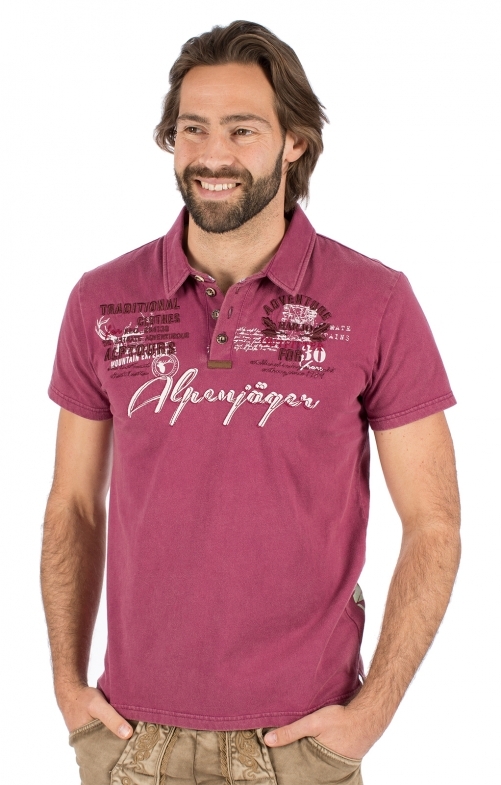 The cool men's traditional T-shirt ALPENJÄGER in Bordeaux comes with interesting details. These include great lettering and embroidery in the chest area, on the side and over the right shoulder on the side of the neck. The classic polo collar has a short button placket with rustic horn buttons. The short-sleeved shirt goes well with battered leather like modern jeans.